Chile you might need to sip this tea SLOW because it is HOT! Always remember there are three sides to a story. Your side, their side, and the TRUTH! Hold up! Wait a minute! Yesterdays drama was a little too much don’t you think? I know some of you had your popcorn. Anyway if you don’t know what happened on twitter yesterday do some homework. I’m not serving shade! 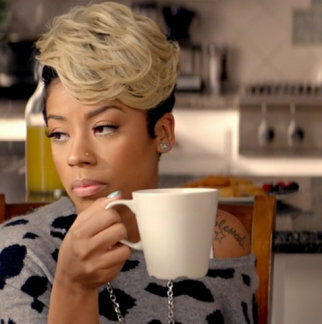 Keyshia Cole completely aired out her spouse on twitter. Apparently things have been going on she does not agree with. Now, no shade no tea, but Keyshia didn’t even have to respond but I can understand why. You don’t mess with Oakland, California okay? I wont give the other party much shine because a marriage is involved here. Now people have been speculating what has been going on but you wont really ever know the FACTS of the matter unless you get an interview with Oprah or Barbara Walters! Keyshia is a great artist with MORE than one platinum album under her belt. Although she might have a few issues at hand, I’m sure she will come out swinging in the end and that’s just The Way It Is.